The web address to your Kickserv account is made of our "kickservapp" internet domain name. The dot com (.com) or top level domain. And your sub-domain name. By opening the browser and using your bookmarks to navigate to the login page. In the address bar of your browser it will show you the entire address (URL) and within it will be your sub-domain name. 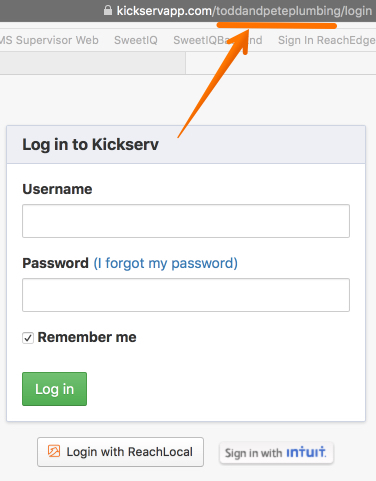 Insert your email address that is associated with your Kickserv profile and we will take you to your log in page.